Europe is the world’s second largest producer of plastics after China. The UK accounted for 7.7% of Europe’s overall plastics demand of 47.8 tonnes in 2014, based on Plastics Europe’s data. The UK uses over 5 million tonnes/year of plastics, in packaging, construction and automotive markets. As one of Europe’s top plastics processor, UK is estimated to produce approximately 2.5 million tonnes/year of plastics raw materials. The UK plastics sector, which comprises 3,000 primary processors, contributes £17.5 billion a year of sales value and provides employment to 180,000 workers or 7% of UK’s manufacturing workforce, according to the British Plastics Federation (BPF) study UK Plastics Industry: A Strategic Manufacturing Sector. 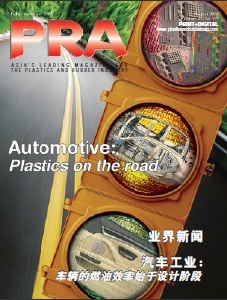 The country also has access to supply of polymer feedstock and the latest processing technologies. As well, it is endowed with reliable materials, testing sector and R&D facilities to serve industries and is home to top materials specialists, as well as technical, engineering, training, service, and front-line support. Yet, as the industry grows, the skills gap is widening. A general lack of training and apprenticeships, emergence of technologies and the appropriate skills needed are looming in the plastics manufacturing sector. The widening hole could become harder to fill now with the UK exiting from the European Union (EU) via the “Leave” vote in the recently concluded referendum. Central to the Brexit issue has been the flow of migrants into the country. Yet, foreign workers comprise part of its workforce in the manufacturing. The skills gap has been a dilemma for the UK’s manufacturing sector. In 2014, Britain's business secretary Vince Cable cautioned against the widening skills gap, that is, workers not having the required ability and workers approaching retirement and need to be replaced - and how that could adversely impact the sector. A recent Engineering Employers’ Federation (EEF) report finds that nearly four out of five, or 73% of UK manufacturing firms, are affected by a shortage of skills. The UK Commission for Employment and Skills (UKCES), a publicly-funded, industry-led organisation providing leadership on skills and employment issues across the UK, also reported of about 35% of ‘hard-to-fill’ vacancies in the manufacturing sector – a proportion, which has persisted since 2013. Meanwhile, managing consulting firm Deloitte Consulting’s 2014 study shows that of the top five European cities, London, England’s capital city, is targeted by 46.5% of highly skilled workers. London-based Senior Partner at Deloitte, Angus Knowles-Cutler, also opined that London is more central to the economy of Europe (than New York is to the economy of North America), and thus attracts the largest proportion of high-skilled talent. According to the latest Office of National Statistics (ONS) data of the UK Labour Market released 15 June, non-UK nationals working in UK stands at 3.34 million, an increase of 229,000 between January to March this year, against the same period a year ago. Whereas, the proportion of non-UK nationals working in the country shot up 10.6% in January to March of this year from 3.5% during the period of January to March 1997. The increase in non-UK nationals working in the UK reflects the admission of several new member states to the EU, ONS stated. In the event of the Brexit, EU workers in the UK could exit the country, thus causing a ripple effect to the pool of skills. As well, a shift in the job market will be inevitable, with wages increasing to attract skilled workers. Training and recruiting costs will also increase. As well, UK will have to compete with lower cost of labour offered in Eastern Europe, for example. 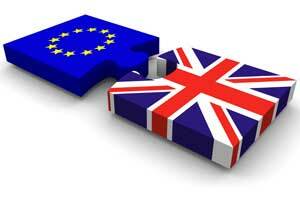 Conversely, immigration restrictions may be applied to EU workers, wanting to work in the UK. UK is an important financial and investment centre of Europe and preferred manufacturing base for some of the largest companies in the world. Deloitte states in its 2014 study that London hosts 40% of the world’s largest companies; whereas 60% of top non-European companies with European headquarters are based in London. That UK edge as a gateway to investments for single-market Europe has dissolved with the Brexit, observers say. Further, there is concern for businesses relocating elsewhere in Europe. France’s capital, Paris, which is the location for 19% of highly skilled workers in the EU, is stepping in and offering itself to international businesses at the crossroads of opting to relocate to either Dublin (Ireland), Frankfurt (Germany), or Paris, after the Brexit. The automotive sector in the UK, which levers the island nation’s opportune business environment, is seen to be hit by the skills gap. There is an optimistic projection for the sector. In the 2015 automotive analysis for the Society of Motor Manufacturers and Traders (SMMT), it was forecast that by 2020, the UK will be producing 2 million vehicles/year, a significant leap from the current total of 1.5 million vehicles/year. That means that by the forecast period, jobs would have increased and thus the UK sourcing would also increase. According to the report, over 5,000 jobs related to vehicle and engine producers could be created, along with up to 28,000 in the supply chain, by the early 2020s. The caveat is that these figures represent a scenario of UK remaining with the EU. The report, developed by the Automotive Council, affirms that the number of jobs that would be created would translate to vacancies in the automotive sector. Not only will this situation lead to a disruption in business operations, but recruitment of critical positions, especially of skilled engineers, will become a challenge. The post-Brexit scenario, however, is different. Large automotive makers may take another way out and thus thousands of auto-related jobs would be lost. Companies like General Motors (GM), Ford and Toyota, are just a few of the automotive makers that have facilities in the UK. Being out of the EU could see changes in export tariffs of vehicles to as much as 10% and for automotive parts, up to 2.7%. These and more could represent losses to UK-based carmakers, and at worst, impede the competitiveness of UK’s automotive sector. Reprioritising other key issues in the plastics industry could also deter the potential impact of the skills gap. Apart from developing a skilled and educated workforce, a number of other key issues are deemed critical to be addressed by stakeholders and the government. These include tapping on export opportunities and inward investment; access to a secure supply of feedstock at stable prices; sensible legislation and taxation to encourage growth and competitiveness; promoting the benefits of plastics, as well as countering misinformation about plastics; and intensifying R&D, according to BPF. Lastly, for the nation that invented polyethylene in the 30s, pioneered the use of polyester for the manufacture of PET, and which is a long-standing leader in technologies used in plastics-related industries, the UK has the cutting-edge capabilities for its plastics sector to remain buoyant. The industry may be in the midst of the Brexit storm, but that too can be weathered, say observers.